With 88 days remaining of my 100 Happy Days Challenge, I am diggin in full steam ahead. So far I have not struggled with finding things that make me happy. It is the capturing of the image that is trying to sabotage my success. What’s up? My iPhone is near capacity. Lol! Today’s happiness came in the form of a delightful bowl of oatmeal with cinnamon and fresh strawberries. I usually add blueberries, but ran out, so in a split second, I sliced up the strawberries and covered my oats. Amazing!! You have to try it. I must rise and shine early tomorrow. 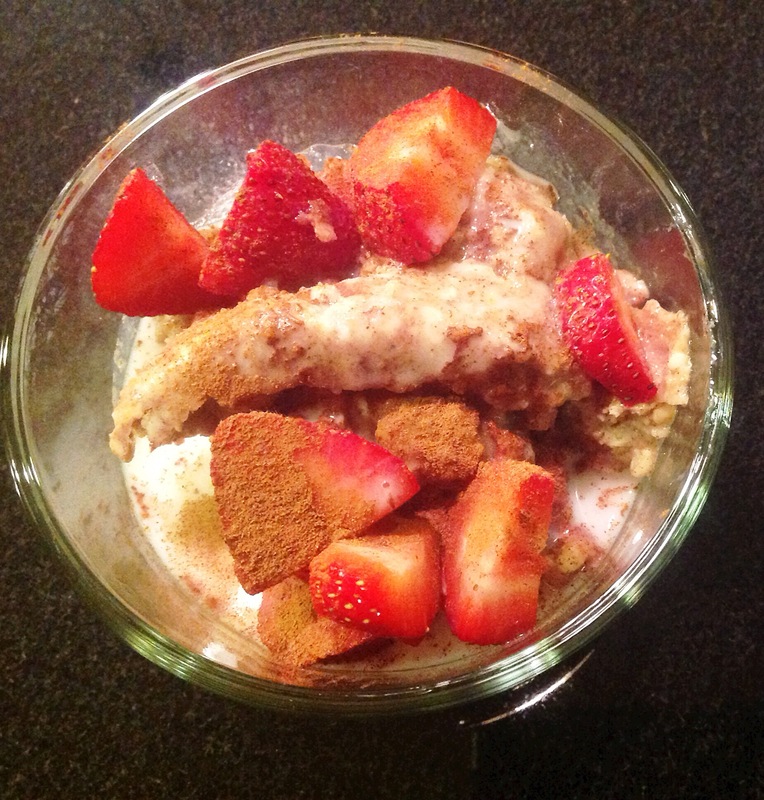 This entry was posted in Family Living, Healthy Living, Inspiration, Uncategorized and tagged 100 happy days challenge, blueberries, happy, oatmeal, oats, strawberries. Bookmark the permalink.